Are traditional weight loss methods not working for you? 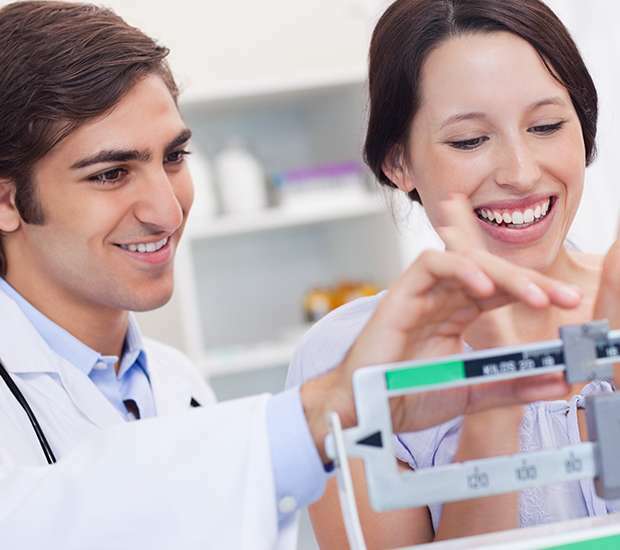 A prescription weight loss plan may be just what you need. At the office of Dr. Rodriguez, we offer a 90-Day Fastin or Adipex (both a form of phentermine) prescription plan that combines these prescription appetite suppression medications with a 1500-calorie-a-day fat burning diet that can help you lose up to 30 pounds and keep them off. Under the supervision of a physician, and if you are in good health, this plan is completely safe and can dramatically control your appetite and increase your weight loss, helping you reach your goals quicker and get longer lasting effects! Obesity often requires long-term treatment to promote and sustain weight loss. As in other chronic conditions, such as diabetes or high blood pressure, use of prescription drugs may be appropriate for some people. While most side effects of prescription weight loss drugs are mild, serious complications have been reported. You will also be given alternative or complimentary non-prescription options to choose from. You should know, however, that weight-loss drugs don’t replace the need for changes in your eating habits or activity level– what we call Lifestyle Modification. And although weight-loss drugs may sound like every dieter’s dream, they aren’t appropriate for everyone who’s overweight. what types of other drugs you may be taking. People who are prescribed appetite suppressants should follow the prescription carefully and precisely. Because appetite suppressants may occasionally cause drowsiness or lightheadedness, it is important to know how you respond to these medications before you attempt to drive or operate machinery.